MyLifeUNIT American Flag Sticker Decal Skin for console and 2 controller Skins Set. 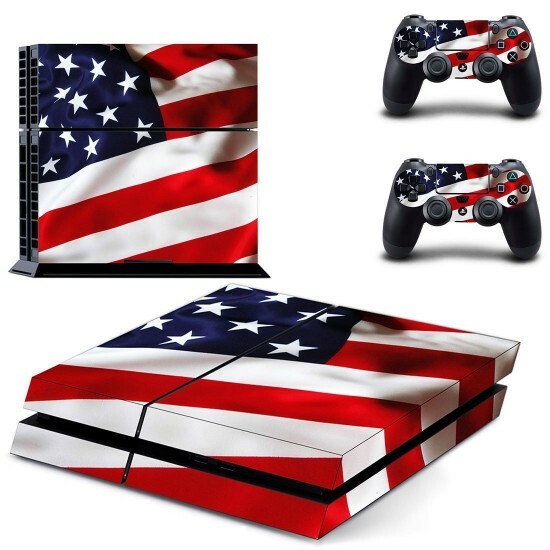 Thank You for choosing MyLifeUNIT US Flag PS4 sticker and God Bless America! Protect your console and controller from scratches and dust. Installation Recommendation: Clean up your console with clothes/towel right before applying decal and use a plastic card when applying to get air bubble out.